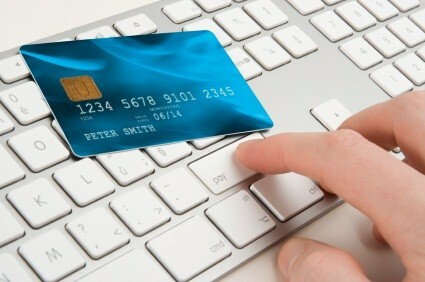 Many people assume that a credit card is a credit card whether it is a business or personal (consumer) card. As we said in How to Select a Business Credit Card, a business credit card offers many benefits over a personal credit card, such as: keeping expenses separate for tax purposes, simplifying expense billing, and having lower annual fees. However, there are some caveats you should know about before selecting a business credit card. Card issuers can raise interest rates without preliminary notice. Credit card issuers must give a 45-day notice of an increase in the interest rate of personal credit cards, but issuers can change the interest rate of business credit cards without notice and apply it to your previous charges yet to be paid off. However, some issuers will voluntarily comply with the consumer-based CARD Act for business credit cards, like American Express, who at the present time will give you a 45-day notice of any rate increase. Introductory rates can end at any time. With a personal credit card, the introductory rate has to be offered for at least six months. With a business credit card, your introductory rate can be discontinued whenever the issuer wants. Most trustworthy card issuers (like American Express, Chase, etc.) will likely give notice before raising their introductory interest rates, but there is also no legal obligation that forces them to maintain these rates. You may have less time to pay your bill. Card issuers are now required to mail your statement 21 days in advance of the bill’s due date for personal credit cards, but there is no such rule for business credit cards. While this seems fairly hazardous, as long as you keep track of your bill’s due date there should be no surprises. And just like with the other stipulations, many of the top credit card providers will abide by the same rules for personal credit cards as well as small business credit cards. You could be subject to unrestricted late fees or over-limit fees. While the CARD Act limited late fees on personal cards to $25 or the cost of the minimum monthly payment (if that happens to be less), late fees for business credit cards are unrestricted. To cover yourself from obscene charges, be sure to find out the late fees beforehand, so you won’t be caught off-guard. Payments are usually applied to the lower interest charges first. The Credit CARD Act required that all payments toward a personal credit card debt be made on the higher interest charges before lower ones. Again, this does not apply to business credit cards. And, in actuality, most business credit card issuers apply payments to the lowest interest charges before anything else gets paid off. Despite the above caveats, there are still a number of benefits to using a credit card designed for business use. The most useful feature is the ability to keep your business expenses separate from your personal ones, which will be especially valuable during tax time. And in general, as long as you’re aware of the rules associated with your business credit card before you choose one and keep an eye out for any changes while you use it, you shouldn’t have any problems. To get help with choosing a business credit card that fits your needs, read How to Select a Business Credit Card.